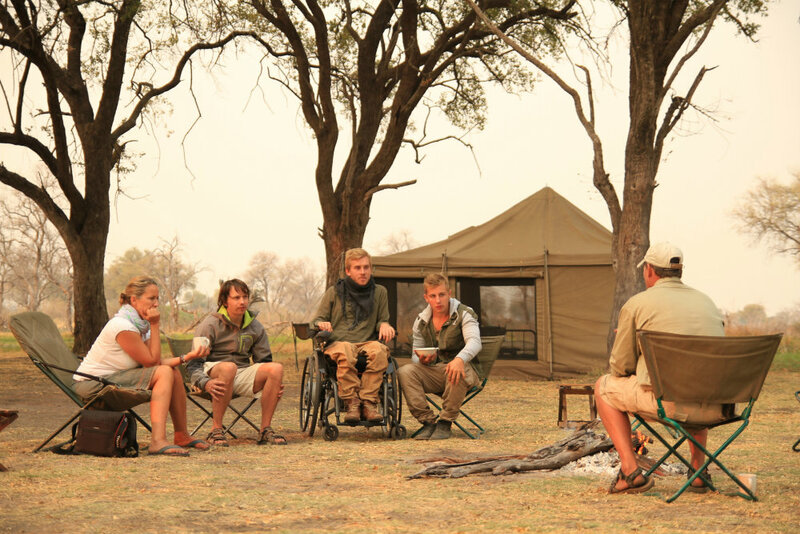 Botswana is gearing itself up to become the leading country in Africa for Accessible Safaris. Having what is arguably one of the most pristine wilderness areas left on the planet, it is only appropriate that an inclusive environment follows suit. Such treasures as the abundant wildlife of these natural places should be inviting and therefore accessible for all travellers to this destination. Thanks to the expertise of companies such as Endeavour Safaris, Botswana can be visited by ALL. Endeavour has for the past ten years designed travel packages and Safari options for guests with physical disabilities. These include those with Mobility Impairments, para-plegics, quadra-plegics, those who use slow walkers, crutches and canes, also included are Visual and Hearing impairments. Specialised tours for various levels of the Visually impaired are available. The amount of information available for a person with a visual impairment is astounding. Taste, touch, smell, and listening are the senses that “paint” the picture of the Safari. Much time is spent on foot gaining knowledge of the individual areas and wildlife information such as the tracks of a lion made in a sandy river area. Elderly guests all benefit from the design of our products and equipment, enhancing their experience and their ability to still enjoy the Safari without any barriers that prohibit enjoyment of the products, such as clambering up into high Safari vehicles. Safaris are therefore still a possibility for the entire family. Endeavour believes in what is termed as Inclusive Tourism, which translates into persons with and without disabilities being able to enjoy our Safari products together, creating an integrated atmosphere and Independence for all. Endeavour will continually strive to make more products available for our guests ensuring that Botswana never becomes a destination with a time-limit depending on one’s physical ability. The more that people with disabilities travel, the better the services they receive will become, ultimately creating a more understanding, integrated society with global travel options.